Primarily used in sewers, drains and other low and non-pressurised applications, VIPSeal® standard couplings join pipes of virtually any material or diameter. Constructed from the highest quality elastomeric rubber, the standard couplings create a leak proof seal. In addition, the couplings are bolstered by stainless steel tension bands, proving shear resistance under heavy earth loads. All standard couplings comply with BS EN295-4, WIS 4-41-01 and the new BS EN16397 standards. All our couplings come with same day or next day delivery. 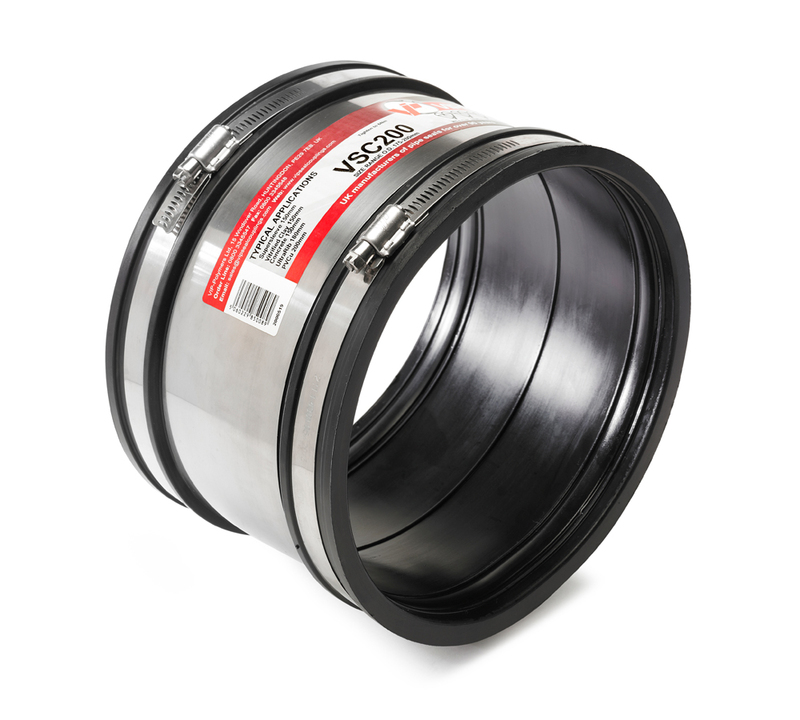 View all sizing options for VIPSeal® standard couplings in our information table.